FAB increases knowledge sharing across departments and geography. As FAB grew, they found that the distance between employees became greater. Emailing had taken over, and this led to inefficient communication. Employees easily find the information they are looking for and help each other by showing their ideas and results through pictures, videos, and comments. 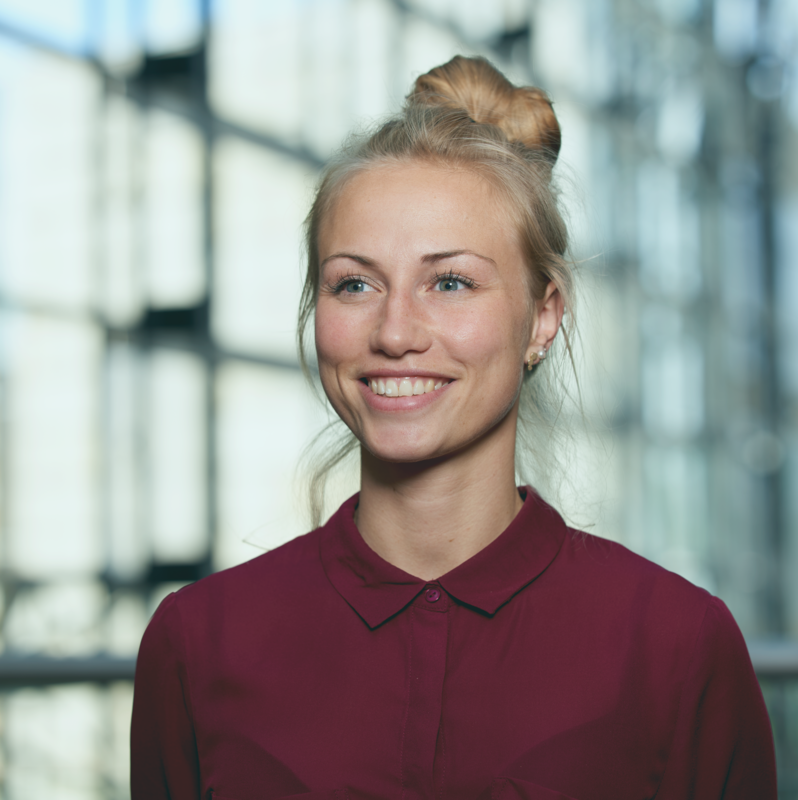 Claudia Pring is the HR- and Communications Consultant at FAB, a modern and proactive housing company with 130 employees spreading throughout Funen. FAB is managing nearly 9,000 homes. 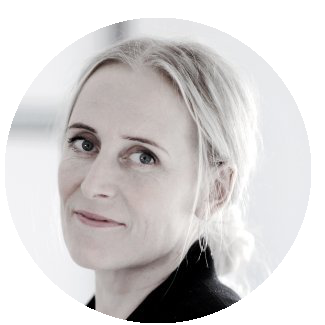 Claudia has worked as a Communications Consultant in her consulting firm and larger private companies in the energy sector in Denmark. Based on her experience, she quickly saw the need for better internal knowledge sharing and the opportunity to position FAB as a modern housing company that puts both customers and employees at the centre. As FAB experienced increasing growth, the challenge of internal communication became more and more obvious. Among other things, they found that many employees had limited knowledge about each other and their working procedures. Therefore, FAB could not be sure that knowledge was shared optimally. With 130 employees spread throughout Funen and only approximately 50 with a permanent workplace at the headquarters in Odense, it was time to "tie the headquarters and departments together" as CEO Jacob Michaelsen stated, during FAB's launch party for the new intranet. 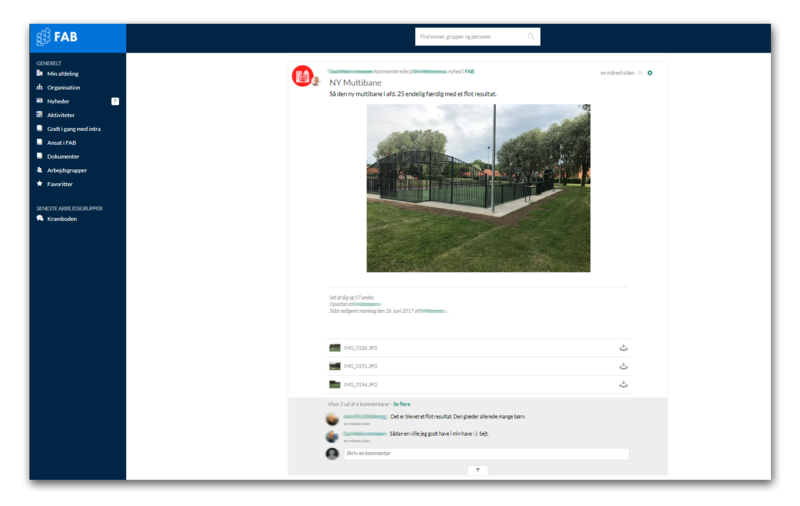 "We must build bridges, not walls," said Jacob Michaelsen, to his employees who were all gathered for the launch of the new intranet in April 2017, only 16 weeks after they had decided that Colibo would be their new intranet solution. Due to the many different geographical locations that FAB employees work from, they realized that it was time to bring people closer together. The housing company is characterised by the fact that many employees work remotely and rarely meet each other in everyday life. It created more challenges, among them, that colleagues did not know each other and that they did not know each other's skills and, thus, did not seek help and knowledge in the right places. Not knowing each other led many employees not to look for the knowledge that could otherwise help them with a task. It was far too ineffective and not in line with the modern housing company that FAB wanted to be. Also, FAB found that employees had no place to inform themselves about what was happening in the company. They needed a digital gathering point that everyone had access to, regardless of the department, the workplace, and whether they were using their mobile or computer. They also needed a system to limit the many "all-mails" that disturbed more than they benefited. One of their biggest challenges was to find out which tool was ideal for an organisation like FAB, where employees were geographically dispersed, and where the use of IT in everyday life varied widely. Claudia, who is responsible for internal communication, began investigating possible solutions. "I came from a SharePoint solution in a previous position, which was far too heavy to use, edit, and teach people to use - we wanted to go completely in the other direction." The choice quickly fell on Colibo's social intranet, which, with its intuitive design and interface, was easy to understand and embrace. Colibo resembles Facebook's design, and we quickly got the impression that it would give our users a flat learning curve. One of FAB's biggest challenges was to put all employees' knowledge into play and to prevent newer employees from re-inventing the wheel when a more experienced employee knew the answer. Colibo's phone book function has been particularly useful in putting a human face on colleagues, but has also made who is physically closest to each employee visible, as well as their competencies. When they log in to their profile, they see which colleagues are closest to them physically and have the most similar skills at the top of the phone book, to the right. That way, all FAB employees now have quick access to colleagues' contact information, whether on mobile, tablet or desktop. Also, colleagues can now be found based on their skills. By searching, for example, 'communication,' all employees with that competence will appear as a result of the search. 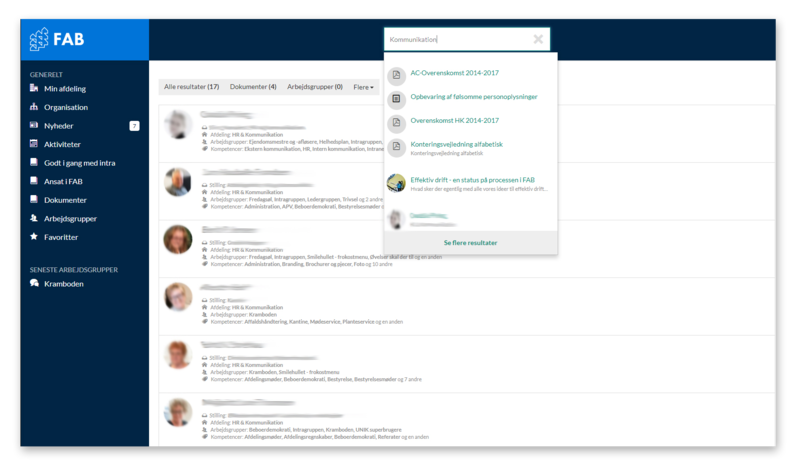 In addition to the easy access to colleagues' contact information, FAB also had a goal to make it as easy as possible to share good examples of how to solve tasks across the organisation. In particular, FAB wished that the knowledge of many skilled and experienced employees benefitted others. Their new 'collaboration room' and 'personal news feed' have made it easy to share these good examples on-the-go. When an employee has found a good solution for how best to mow the lawn around the flower beds in the City Hall park, he just takes a picture of it and uploads it on the intranet. It also gives the secondary effect that all other employees, who do not necessarily work in the same department, can now see the world from the perspecpective of their fellow employees, strengthening the joint understanding of the company. Another of FAB's wishes for their new intranet solution was for it to be an easy and intuitive way to share their many files. Previously, files were only available to the employees who had a permanent workstation at the headquarters, and it forced a lot of unnecessary driving back and forth between the office and residents. With Colibo, I have all the forms I need at my fingertips. And I'm sure to always have the latest update. Now, I send an email to the residents while I'm there. It saves us a lot of unnecessary driving back and forth between the resident and the office. It saves me a lot of time in the car. Try it, it is super easy. It looks and works a bit like Facebook, which has made it easy and understandable for all employees. Cooperation across geographical locations and different competences has become easy and efficient. FAB launched their new intranet in April 2017, less than four months after Claudia and the steering group decided to implement Colibo as their intranet solution. Colibo's implementation team took FAB confidently through the implementation process, which starts with a launch meeting that clarifies the choice of apps and widgets. Then, the implementation team began preparing FAB's new intranet to go live. In addition to Colibo's work on the implementation, it is often advised that the customer arrange a good launch of their new intranet. Therefore, FAB put more initiatives in the pipeline to ensure that everyone got a good start on the use of their new intranet. FAB had no system or intranet to be replaced, which meant that there was not a lot of old content that would bloom again. Therefore, there was a need to cover the information needs of users so that the right structure could be built up and then launched. Colibo's Chief Marketing Officer, Ninna Lauridsen, was invited to attend FAB's launch party, which aimed to introduce their new intranet to all employees. All employees were invited to the head office in Odense, where there was a large coffee table filled with rolls and brownies. The intranet steering group began their presentation, introduced by FAB's director, Jacob Michaelsen. The Director began his speech to the employees by expressing why they had chosen to implement an intranet in the organisation. "We will build bridges, not walls" - FAB's director, Jacob Michaelsen said. Then, the intranet steering group took over to give a tour of the new system. "It's always difficult to change to a new system," said Claudia Pring, HR and Communications Consultant at FAB, calling for everyone to try and tackle the new opportunities for collaboration in work groups, news feeds and file sharing. What do we use the intranet? Where do I find the organisation chart? How do I target messages to different groups? Who has an anniversary or birthday? How do I find colleagues with specific skills? How do I use tags in my posts? What's in the staff manual? FAB found that, in particular, it had become easier to target their internal communications from both employees and management. It had also become easier to talk through comments and postings in one's news-feed, combined with the common news on the front page, said Claudia Pring. 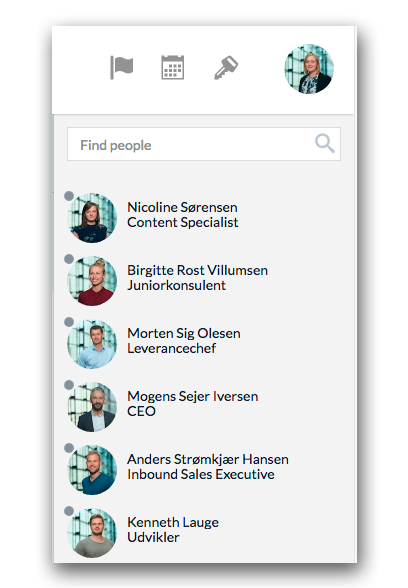 Each colleague has his own data card, drawn directly from our AD, where the employee can connect his competencies so that others in the organisation can find the person based on what they work with daily. FAB's intranet steering group made sure everything was as easy as possible for everyone to get started using the new intranet. Among other things, they had made blue t-shirts for the steering committee, so everyone knew who to ask when they had questions. After the introduction, there was also the opportunity to get help at the intranet support stand, created particularly for that day. 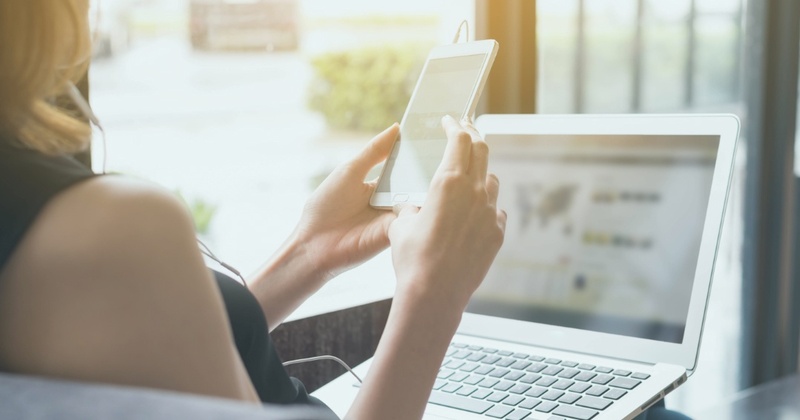 There was a stand in the foyer where employees could get help logging into the intranet for the first time, as well as putting a favourite icon on their mobile devices so that the new intranet was available from day one. The steering group had provided power banks to help the many employees who did not have a permanent workplace in the office, so that mobiles and tablets, and thus the intranet, were always available. As a previous SharePoint user, Claudia is especially pleased with the short time it took to implement and set up the use of Colibo. "We all have our arms raised high. It's so easy to implement"
The intranet has given FAB employees more opportunities to use the new system. Among other things, they have arranged competitions on the intranet, where you could win tickets to the zoo if you were the one who had the most seen news-update. In particular, FAB has experienced how communication has suddenly shifted from the top down to communication across departments and positions. "It's the people's intranet," said Claudia Pring. Learn from FAB's experiences and how they successfully implemented their Colibo intranet to achieve increased knowledge sharing and productivity across departments and geography.